We are proud to present this wonderful Queensland Probus tour, available for all Probus members and friends. All things art, cultural, cuisine and retail therapy! 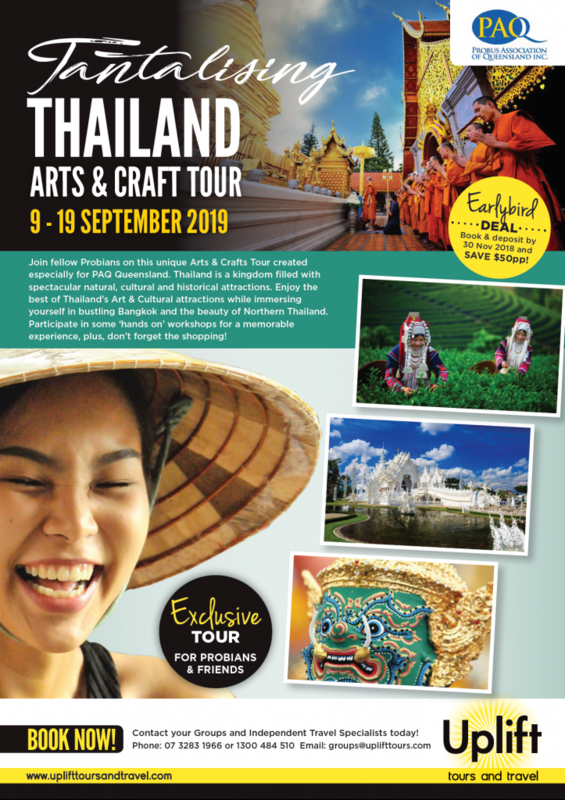 Enjoy the best of Thailand’s art and cultural attractions while immersing yourself in bustling Bangkok and the beauty of northern Thailand. Participate in some ‘hands on’ workshops too … and don’t forget the amazing shopping too! Please see above tour info for payment details. Note:- Deposits due by 20 February 2019. Don’t miss this amazing experience! Contact our team today for daily itinerary and for any other queries. Discounted quality insurance available – Call us today for a quote.